In this article, we examine the advantages of concentrates, what makes a good concentrate or extract, and why BHO is, in our opinion, the best alternative for manufacturers who are producing and processing on a large scale. BHO, also known as butane hash oil extraction, or hydrocarbon extraction, is the preferred extraction method for large-scale producers due to its scalability and versatility. 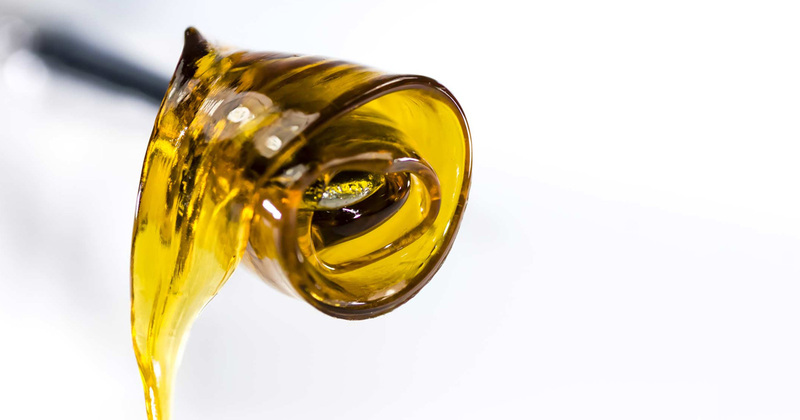 Concentrates are the fastest growing segment of the recreational cannabis industry and the second largest market in the industry behind marijuana flower itself (it is projected to overtake the number one spot by 2022). An industry that made over $3B in 2018 is poised to more than double that in the next two years. What makes extracts and concentrates so popular? For many consumers, it is a combination of accessibility, portability, and versatility, which combine to provide a much more user-friendly experience. The many choices of receptacle give consumers options for consumption on their own terms. Portability furthers this access by opening up new options for environmental settings, indicating a more freeing experience. And versatility means it can be packaged in a variety of ways, with different elements isolated to deliver any intended effect, thereby serving a wide swath of needs and preferences. Accessibility, portability, and versatility are the primary drivers of consumer demand in the concentrates segment. For producers, concentrates represent a highly scalable, highly profitable option. Concentrates ship easier and keep longer, cutting down on distribution costs. They can be bud-based (nug run) or made from trim and leaf depending on the desired output quality and type, allowing for more flexibility during processing. Perhaps most importantly, product consistency is easier to attain with the standardized processes of the more technologically advanced processors. But there is the problem of addressing the hundreds of new demands being placed on producers. While consumers are free to choose their favorite means, producers are left chasing their tails. Not only does the popularity of individual strains change with the seasons, now new variables exist for consumer preference in packaging (pens, droppers, canisters), flavors (infused, flavorless, natural), and forms (tinctures, gummies, salves, vapor). BHO specifically addresses the multitude of consumer choices and demands better than other methods because of three little words unique to BHO — full spectrum extraction. Full spectrum extraction means the fullest representation of the plant in concentrated form. Most extraction methods, including both cruder means such as alcohol extraction and highly advanced means like CO2, exist for one primary purpose — to extract THC and/or CBD. BHO extraction, on the other hand, pulls cannabinoids, THC, terpenes, flavonoids, phenolic amides, and sterols to create a full spectrum representation of the original plant in concentrated form, with all the flavors intact. As opposed to other extraction methods, BHO extraction pulls cannabinoids, THC, terpenes, flavonoids, phenolic amides, and sterols to create a full representation of the original plant in concentrated form. It is easy to see why this would be desirable. More elements mean more versatility, depth and variety of flavor, and an enhanced experience, which is the name of the concentrate game for consumers. For a list of full spectrum extraction benefits, see https://www.ncbi.nlm.nih.gov/pmc/articles/PMC3165946/. 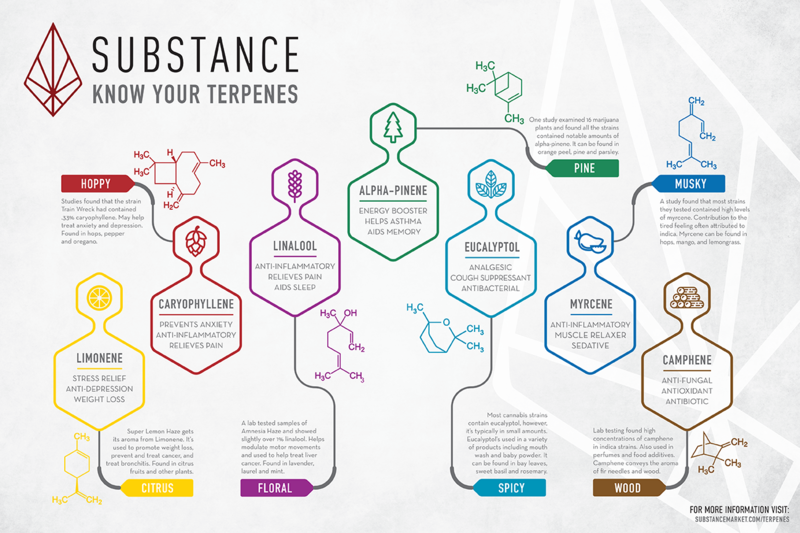 Image courtesy of Substance Market. In any extraction process, the ability to accurately measure and control product quality consistently while also being able to scale production is paramount to the success and viability of the business. With no single governing body, there is very little consistency in quality and potency of oil extracted by the thousands of producers out there. Additionally, CO2 extraction requires an additional step of removing unwanted components through distillation. For example, patients who use CBD oil for cancer treatment or other ailments don’t want any trace of THC in their oil. Unfortunately, this unregulated industry means this is not always guaranteed. In fact, most CBD oil contains at least trace amounts of THC. Further, a study by the CDC in May 2018 highlighted the practice of some manufacturers using synthetic marijuana instead of CBD in their oil, which resulted in the poisoning of 50 people in Utah. The onus falls on the producers and processors to self-regulate their processes and be accountable to the end product. CBD oil contains at least trace amounts of THC. That is what makes the right equipment so important. The cost of a BHO extractor can vary by thousands — even hundreds of thousands — of dollars. The discrepancy depends largely on four factors: ease of use, product quality desired, throughput, and safety. BHO extraction methods range from the rudimentary (and extremely dangerous) practice of blasting it in a PVC tube to make single batches, to fully automated light hydrocarbon extraction solutions that can process hundreds of pounds of plant material each day. Like any industry, the labor costs involved in creating cannabis concentrates are heavily intertwined with the process. BHO extraction, in particular, can be very labor-intensive due to the sensitivity of the process; poor timing, improper technique, or a missed step can result in thousands of dollars lost in a matter of minutes. Historically, this has made scalability difficult for BHO extractors without significant investment in both labor and equipment. Extensive training is required to operate many of the manual machines, which themselves can be complicated and expensive. Now, there are fully automated extractors — such as our own IO extractor — which significantly reduce labor costs and provide a path to growth and scalability. Before investing in an automated BHO extractor, Claywolf employed 7 full-time operators, each working full-time shifts and operating two separate extractors. They processed a maximum of 20 pounds of biomass per day. After implementation of the IO extractor, Claywolf was able to process 160 pounds per day, using only one technician and one extractor. The combination of throughput and labor savings resulted in significant profitability improvements. These solutions don’t come cheap, but the cost savings and growth potential make the ROI difficult to ignore. 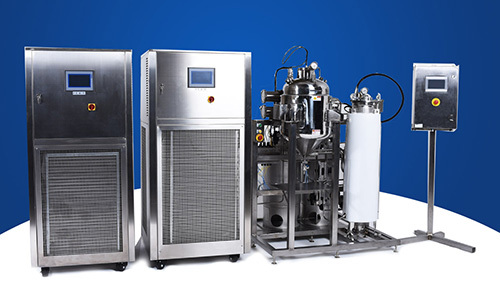 Coupled with the aforementioned superiority and versatility of the product, it is easy to see why many companies are making the leap to automated hydrocarbon extraction. When done correctly, BHO extraction results in consistently higher cannabinoid count, wider terpene profile, lighter color, and better flavor than other extraction methods. However, there are a multitude of factors that can impact the final outcome, and controlling each of these presents their own unique challenges. When done correctly, BHO extraction results in consistently higher cannabinoid count, wider terpene profile, lighter color, and better flavor than other extraction methods. Perhaps the most important factor impacting product quality during the extraction process is temperature control. Extracting at lower temperatures creates a purer product by fully separating the lipids from the waxes. When considering a BHO extractor, cooling power and cooling consistency are two of the most important factors to take into account. This is especially crucial for live resin, which is extremely sensitive to temperature fluctuations. Home growers and mom-and-pop operations may not recognize the huge advantages of automated BHO extraction, or comprehend why a capital outlay in the hundreds of thousands of dollars would be necessary. But these are not the good old days. High-volume production is a prerequisite to remaining relevant and competitive in today’s high-growth cannabis industry. Companies that do not have long-term, sustainable solutions for processing concentrates will quickly find themselves on the outside looking in. Throughput is the most important factor in the ROI equation, and BHO wins the day by a large margin against CO2: Average CO2 throughput is 1/5 (or less) than BHO equipment with comparable capital outlay, and we often encounter clients that over-purchase CO2 equipment even though the IO produces more than CO2 equipment at approximately 1/10th the cost. CO2 equipment is inefficient. BHO extraction can achieve 5-10x throughput of today’s standard CO2 equipment with the same capital outlay. Perhaps the most important aspect of hydrocarbon extraction is safety. Over the years, BHO has had to overcome its share of bad news in the safety department. Butane is relatively inexpensive, which leads to a low barrier to entry for backyard operations. Lack of understanding of its elements and proper precautionary measures have led to some unfortunate events, even costing lives. Despite the regulatory advances made, BHO still has a safety stigma attached to it, both in terms of processing safety and consumption. But the reality is, each extraction method has its own risks. Ethanol and butane are flammable, CO2 is under high pressure. BHO extraction has come a long way in the past few years, with self-contained units that safely capture and reuse excess butane. These commercial grade “closed-loop” systems keep flammable solvents from escaping and getting exposed to open air, thereby limiting the risk of explosion. Some companies are taking their safety directive a step further and incorporating Recognized and Generally Accepted Good Engineering Practices (RAGAGEP) throughout the design and manufacturing of equipment. Automation also lends a huge assist in the safety department; by automating processes that are otherwise performed by humans, processors thereby eliminate exposure to risk. More layers of safety in both operations and processes mean less safety liability and a better product for consumers and producers alike. 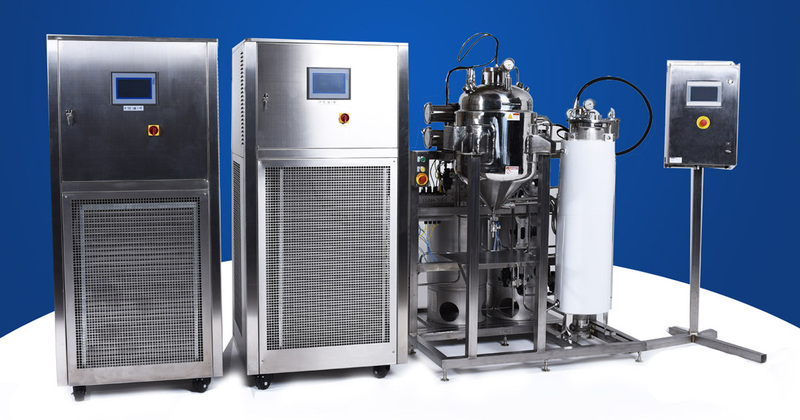 The IO Extractor is a fully automated BHO extraction system capable of extracting essential oils from 18 pounds of dried plant material per hour. By taking the process control out of the hands of technicians, the IO Extractor maintains product quality run after run. Additionally, with a full data-logging suite, process parameters can be refined to a level previously unavailable to BHO extractors. Temperatures, pressures, and event logs can be reviewed for each step of the extraction process cycle to develop strain-specific recipes and support quality assurance. Automated controls eliminate weeks or months of apprenticeship training required for manually controlled hydrocarbon systems. Pre-programmed recipe-monitoring system checks pressures and temperatures hundreds of times per second to remove risk of operator error. Process 18 pounds of dried plant material or 25 pounds of fresh-frozen material per run. Single operator can process 400 pounds of biomass in a single day. 50-minute average run time with a 10-minute soak. Run-to-run changeover times of two minutes.